The following are the lab manuals for 2nd B.Tech 2nd semester of R13 regulations for various branches like Civil Engineering, EEE, Mechanical Engineering, ECE, Computer Science and Engineering, Information Technology. All of the following lab manuals tested and all programs gives good and expected out put. 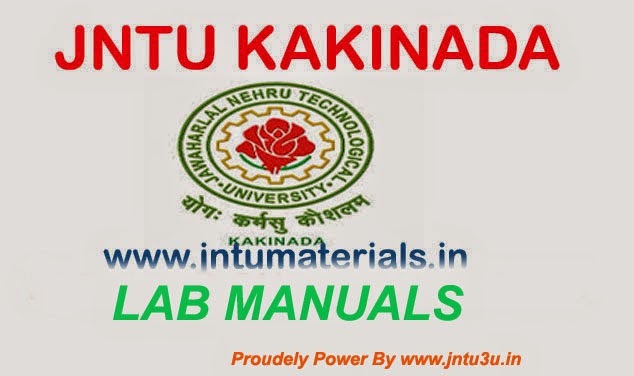 jntumaterials.in provides all types of jntu exams stuff like materials, previous papers, Text Books, Lab manuals, Online bits ext. For all latest updates on these stuff follow us on Facebook. Renaming are updated soon............ and Links are updated soon........stay with us.